On the coldest day of the winter, which is soon to lead into the coldest night, we head south from New Hampshire in search of personal climate change. Seventy miles later, we check into the Hotel Northampton, climb the hill that rises toward Smith College, and spiral up an icy-cold staircase to heaven. Or, more specifically, East Heaven. As in, Hot Tubs. Up here in the clouds (actually, the rooftop), steam billows from a bubbling wooden cauldron that sits high over Northampton. Vapor curls into the dark, frigid air. Snow is falling, the temps hovering around 8 degrees. A pale, misty moon is barely visible above the private enclosure that surrounds our percolating pool. My hair stiffens and freezes, and I couldn’t be happier … or warmer. The air feels sharp enough to shatter—and I don’t care. Which is probably what any number of East Heaven customers have felt since 1981, when Ken Shapiro and Scott Nickerson opened this Japanese-style bathhouse. “I took more hot tubs than showers growing up,” quips Shapiro’s son, Logan, who now helps run the business: four indoor tubs and four outdoor ones, plus a spa. 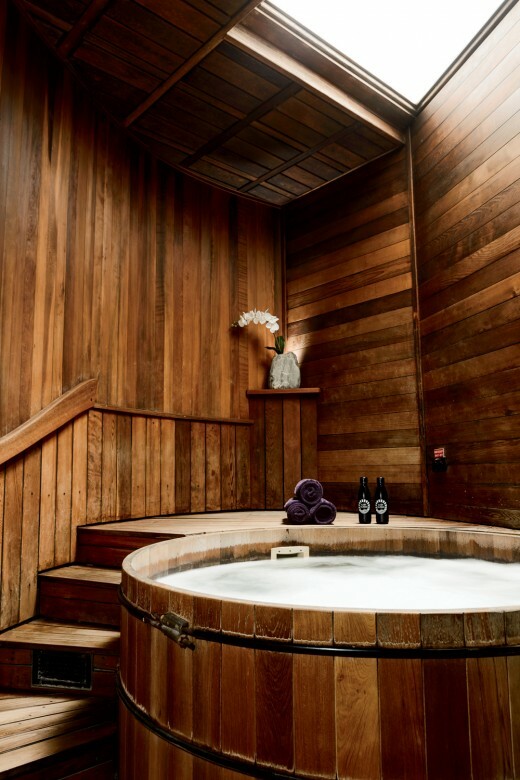 One of the eight hot tubs at East Heaven. Oddly, the thermostat seems to be rising all over town—cranking up even to, one might say, a tropical intensity. 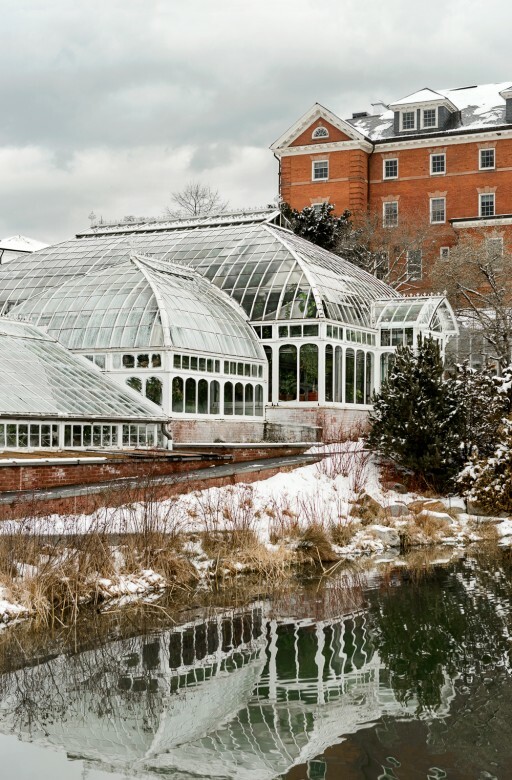 Blocks away from East Heaven’s 104-degree tubs, in the heart of the Smith College campus, a Victorian confection sits amid the swirling snow: It’s the 19th-century Lyman Plant House and Conservatory, shaking off winter with a humid canopy of cacao, banana, and rubber trees in its kid-magnet Palm House, nicknamed “the Jungle Room.” Close by, the transcendent Hungry Ghost Bread, effectively a bakery sauna, emits clouds of yeasty moisture whenever a customer steps inside. Cozy bookstores meld heat, escapism, and—in the case of Raven Used Books—classical music to conjure a mini vacation from the chill. And we’re just warming up. 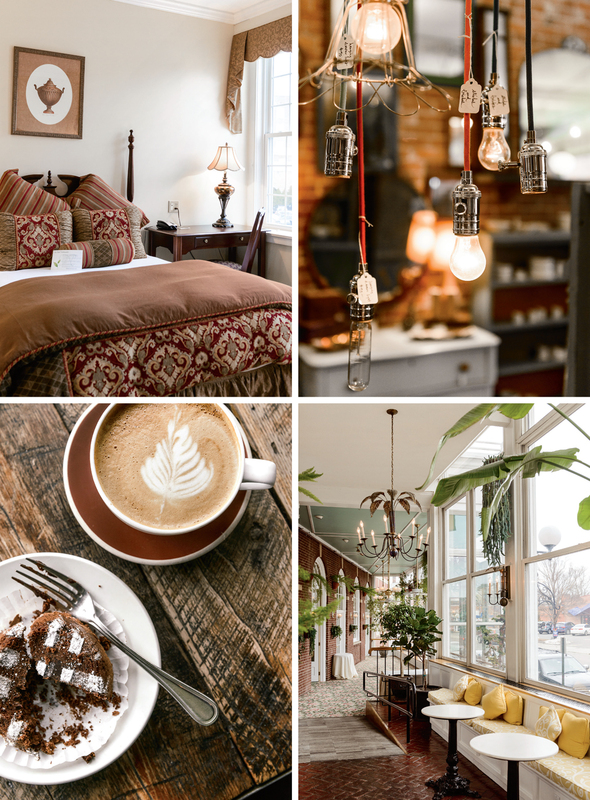 Clockwise from top left: Comfy digs in the Hotel Northampton’s newer Gothic Garden building; one-of-a-kind lighting fixtures at custom furniture shop Sticks & Bricks; the atrium at the Hotel Northampton, whose guests have included David Bowie and the Dalai Lama; an artful latte alongside Kahlúa fallen chocolate soufflé at the Roost. A view of Smith College’s c. 1895 conservatory, which houses 3,000-plus species of plants from around the world. 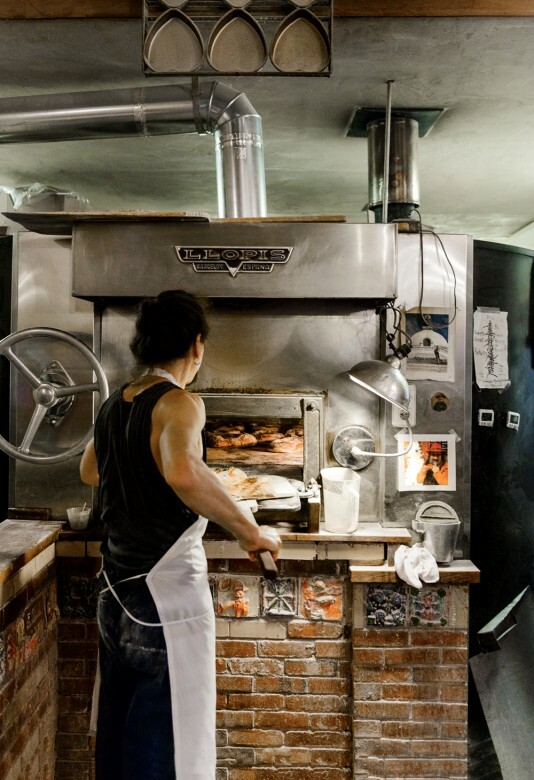 Opened on Market Street in 2011, the Roost caters to a variety of appetites with everything from breakfast sandwiches to milkshakes to wine and beer. Snow is still pelting down as we slip into the Roost, where steamy windows and wood-plank rusticity meet “Rooster Rolls” stuffed with egg, bacon, avocado, or possibly whipped gorgonzola (making the Food Network very happy and earning its props for “best breakfast between bread”). 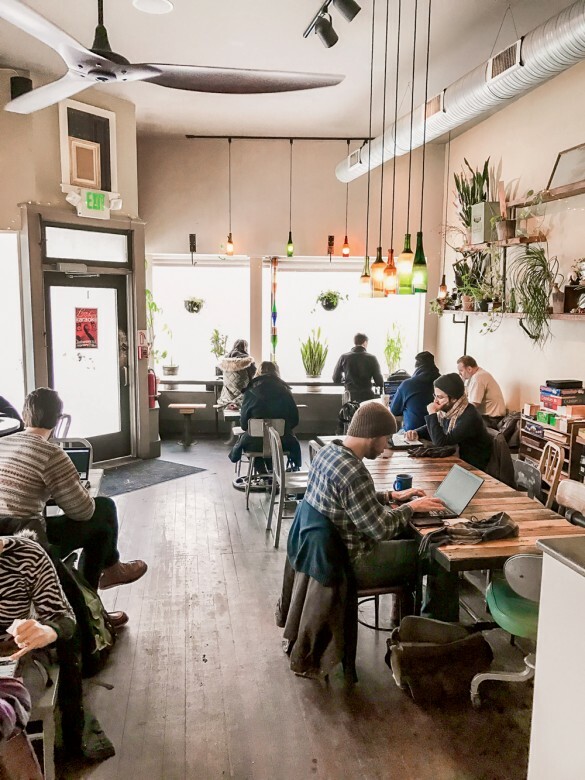 At Haymarket Café, midway up Main Street, contented vegetarians are still squeezing around the postage stamp–size tables (as they have since 1991), surrounded by eccentric wall art, the air alive with the hiss of espresso in the making. Casual ethnic eateries abound—including Amanouz Café, serving bursts of Moroccan flavor. A sprint through town reveals further options of Indian, Greek, French, Japanese, Thai, Mexican, Italian, and Vietnamese cuisines. But if fresh bread is your holy grail, Hungry Ghost Bread is the destination. “Artisanal” and “wood-fired” are weak words for conveying the crack of this crust, the moist cushion within, and the otherworldliness of a cranberry-maple turnover that somehow fell into our bag. Head baker J. Stevens loading the first batch of the day at Hungry Ghost Bread. We found plenty of excuses to duck indoors, such as Sticks & Bricks, with its artwork, jewelry, and sleek furniture made from reclaimed materials, and Pinch, offering unusual wall art, ceramics, curated clothing, and airy home decor. Thornes Marketplace packs dozens of stores and eateries under one roof, including Paul and Elizabeth’s, a vegetarian mainstay since 1978. Scattered around Northampton is enough reading material to get anyone through winter—Broadside Bookshop, for instance, lines its walls with quality reads plus smart political stickers—but for hours of browsing, nothing beats descending into the cozy den of Raven Used Books. Abundance spills out of the shelves and onto the floor; “Middle English Texts” sits next to “Arrrrgh!” (pirates). It’s an oasis of calm, and an exploration set to the soundtrack of Handel’s Water Music. 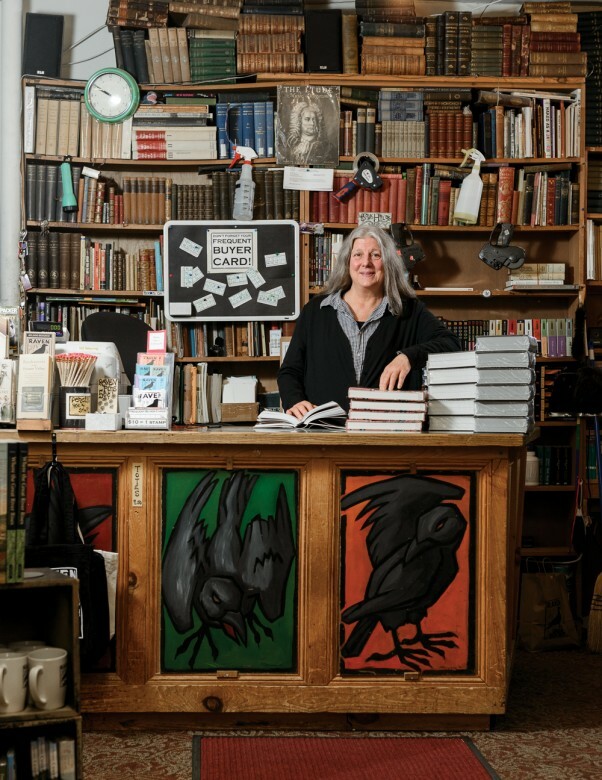 Owner Betsy Frederick at Raven Used Books, a haven for local academics and bibliophiles. 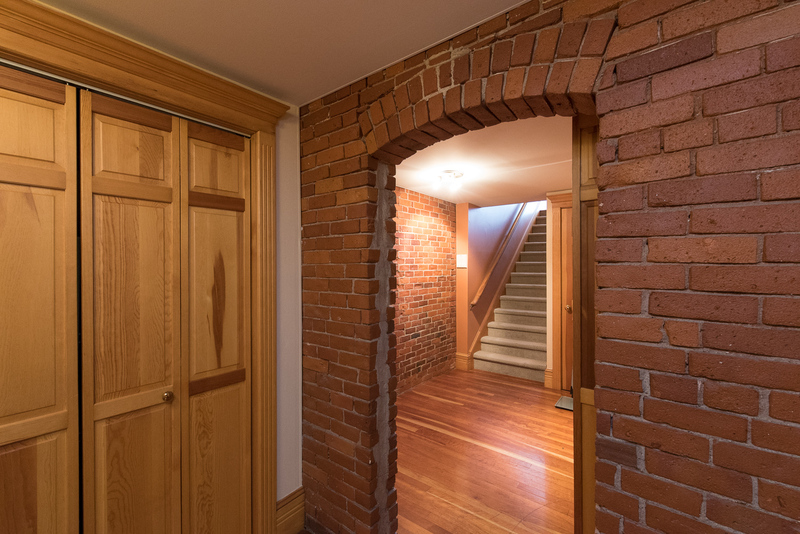 At the time of our visit, a stylish two-bedroom townhouse-style condo in a c. 1900 building once known as the Union Street Jailhouse, offering exposed brick walls and a short walk to downtown, listed at $246,888. 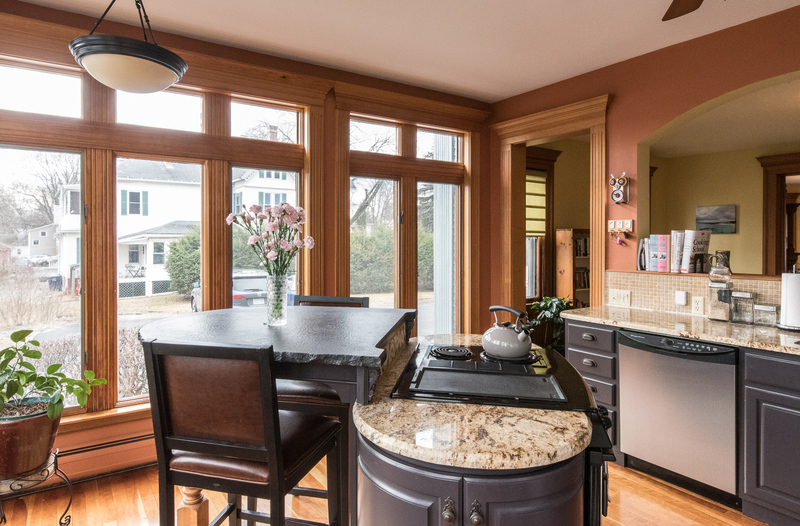 A breezy four-bedroom renovated 1950s colonial, with granite kitchen counters and proximity to Childs Park, was selling for $399,000. And a two-bedroom eco-friendly contemporary condo with a rooftop deck, less than a mile from the Smith campus, also listed at $399,000. Apart from being able to luxuriate at East Heaven (and take a free half-hour tub on your birthday), we barely scratched the surface of Northampton’s local perks. 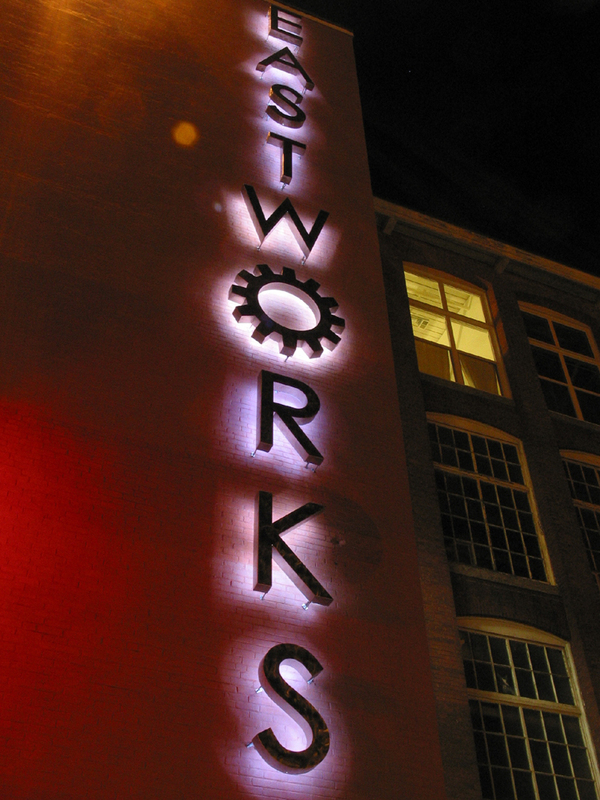 Every type of music and performance venue is represented here, from intimate institutions like the Iron Horse Music Hall to the venerable Academy of Music, the oldest municipally owned theater in the country (c. 1891), which showcases talent ranging from Irish songbird Mary Black to the witty David Sedaris. As for the visual arts scene, it explodes at the twice-yearly Paradise City Arts Festival, an extravaganza of 200-plus top-notch craftspeople and fine artists that’s been dazzling shoppers since 1995. Just off Main Street, in the center of town, the elegant Hotel Northampton—a member of Historic Hotels of America—is ideally situated for sampling every tropical diversion. And for depths of coziness on a winter’s night, descend into Wiggins Tavern, the hotel’s 1786 tavern (moved from its original site in Hopkinton, New Hampshire), for an incomparably warming Indian pudding. March with Maple and Main during the Noho Pride March! 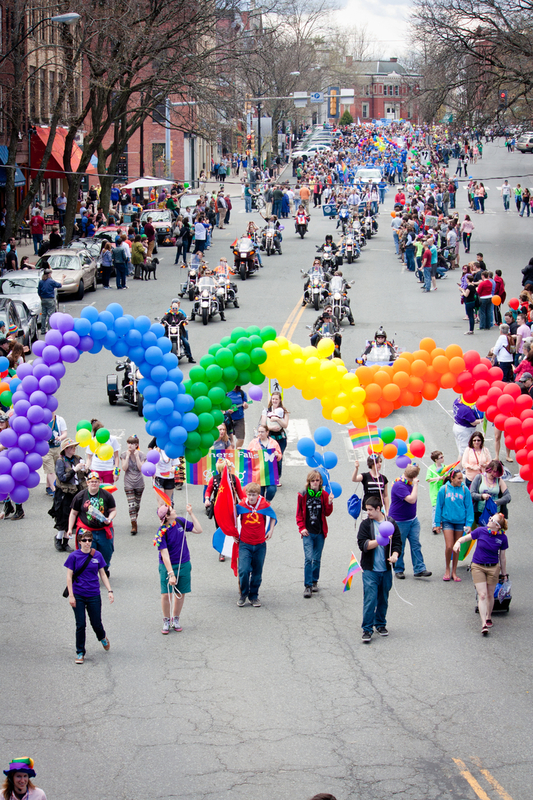 Please come join us this Saturday for Noho Pride's Parade and Pride Event in downtown Northampton, MA! The event starts at 12 pm. Check out the Noho Pride website here for parade route and other important information. Walkers are welcome to join us! Ideally walkers will wear some variation of orange or orange/yellow (Maple and Main Realty colors). There will be orange/yellow balloons, a large Maple and Main Realty banner and at least 10 gregarious and appreciative Maple and Main Realtors to walk with!!! Let's meet at 11 in the parking lot behind Brewery, look for the Maple and Main Realty banner - close to the ticket dispenser closest to the Brewery. 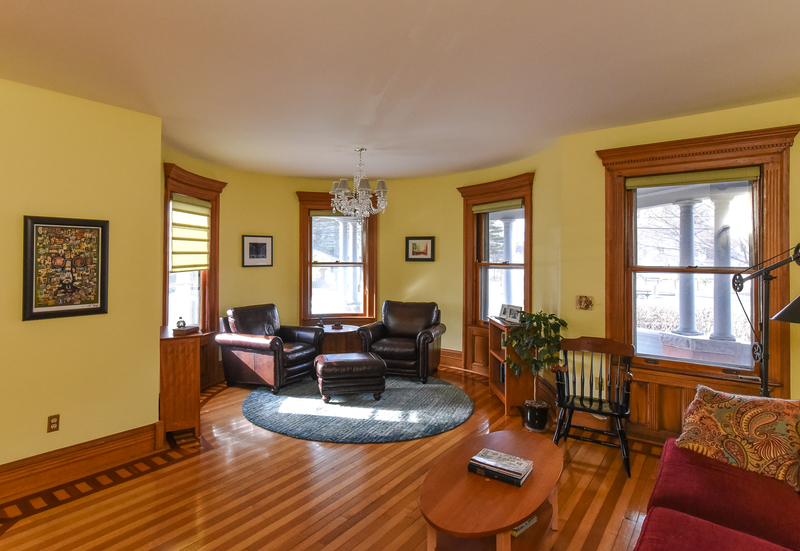 Gorgeous, Historic Downtown Northampton Condo - Price Reduced! I've said it before and I'll say it again - 2 Pomeroy Terrace, Unit 3 in Northampton is a special and unique property! A seamless mix of historic and modern elements blend together to create a cozy, yet spacious, and beautiful home. A stone's throw to all that Northampton has to offer, and conveniently located within a mile of the entrance to 91 - this 2 bedroom, 1.5 bath condo has so much to offer! Newly reduced price of $399,900! This is a must-see unit! - Beautifully maintained grounds and building. - 1 bay garage for each unit, with ample parking for a second vehicle. - Subletting allowed (though all units are currently owner-occupied). - Condo association is pricing central air right now. Buy now and opt-in for central air in Unit 3. 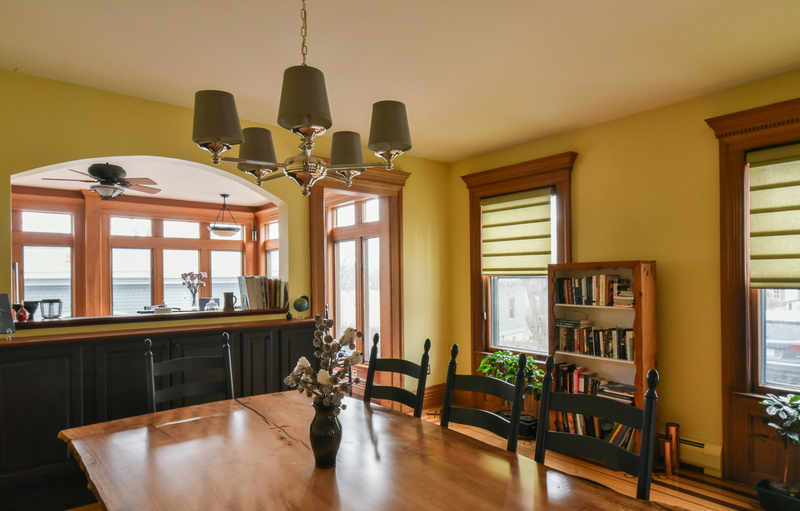 - This unit has a beautifully remodeled 4 year old kitchen, but has the most original architectural details in the building. 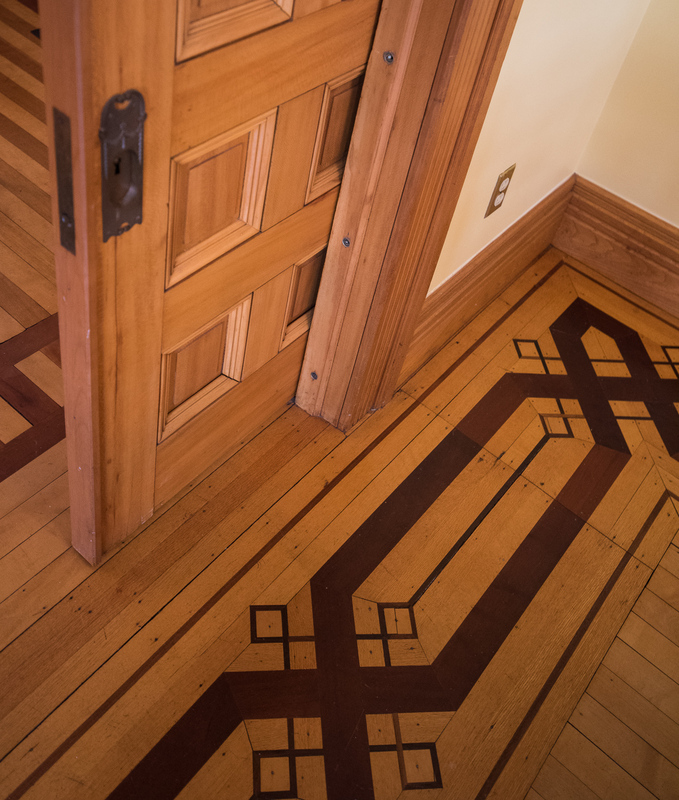 Dentil moldings, pocket doors, parquet floors, hand-carved mantle piece, etc. 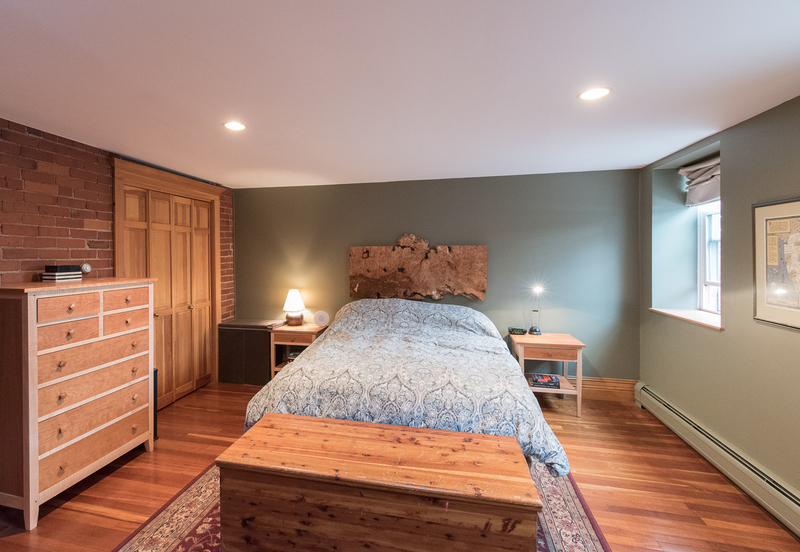 - Cool, peaceful downstairs bedrooms with hardwood floors and exposed brick. Laundry downstairs in unit as well. Contact Julie Starr to set up a showing! 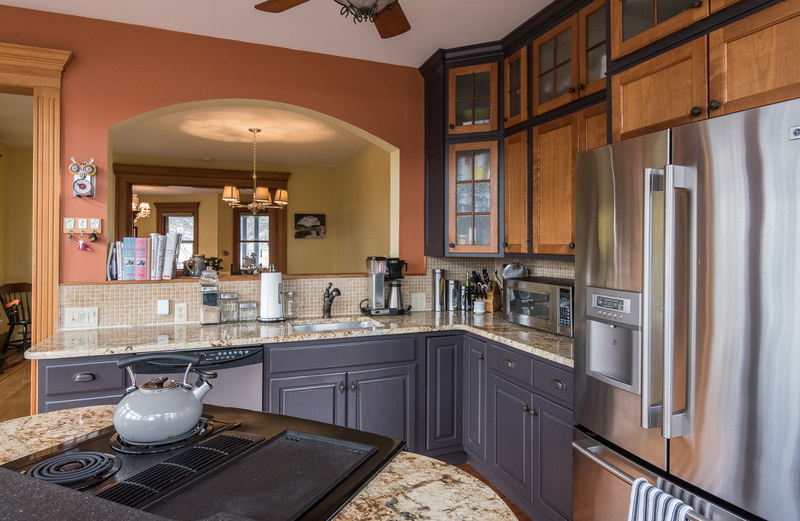 Remodeled kitchen with custom cabinetry and granite countertops - views of Mt. Tom in the distance. 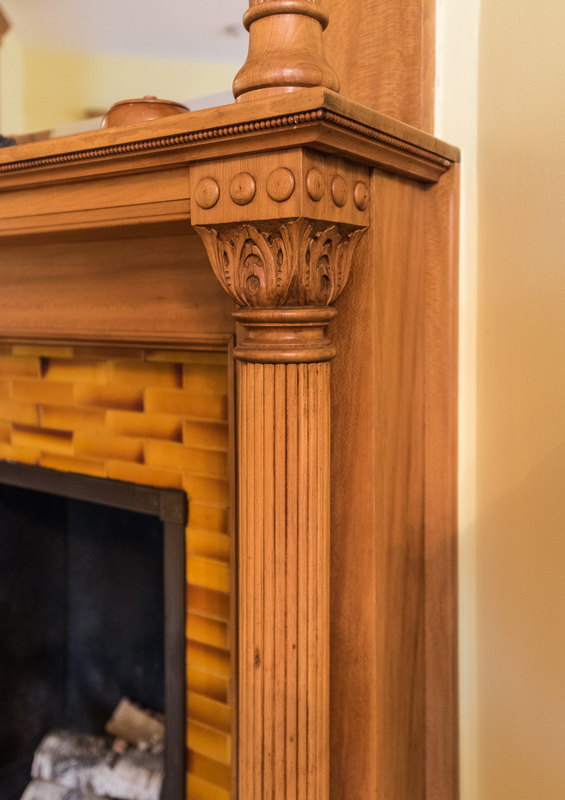 Hand-carved mantlepiece from the mid-1800s. 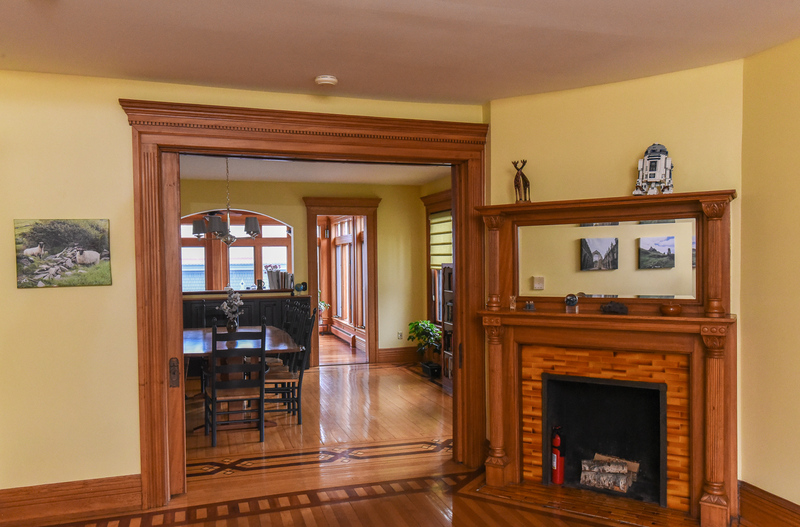 Exposed brick, hardwood floors and storage closets in lower level. The historic Shaw's Motel was demolished on Monday, December 20th, to make way for 12 new condominiums in downtown Northampton, MA. It's exciting to contemplate how this will change the landscape of our fair city! Though the Shaw's Motel had become an eyesore along Bridge Street leading into downtown Northampton, MA due to many years of neglect - some Northampton locals in the proceeding article wax nostalgic about the hotel and the era it represented to them - most notably, the great compassion of Josephine Shaw, former owner of the hotel. Condos will soon replace the iconic former motel, which long served as a sanctuary to the city’s mentally ill under the compassionate reign of Josephine Shaw before it was condemned in 2012. Charlie Arment Trucking Inc. demolished the former motel and began dismantling a garage behind it on Monday. Work continues Tuesday, said Building Commissioner Louis Hasbrouck, as the company takes down the large, white multifamily Pomeroy Terrace home adjacent to the property at 87 Bridge St.
Hampden County businessman Matthew Campagnari, who bought the properties in July 2015, said he’ll construct three duplexes on the former motel site and the adjacent lot. For a total of 12 condos, he said he’s also renovating the yellow building at the corner of Pomeroy Terrace and Bridge Street. As for the famous Shaw’s sign, Campagnari said he certainly won’t throw it away. “I’ve had many, many, many inquiries,” he said, adding he’ll likely give it away to a worthy cause. The Monday demolition stopped traffic as passers-by stopped to gawk and take pictures from car windows. Sounds of breaking glass echoed through the city’s Ward 3 as an excavator’s toothed arm reached past the structure, reducing ever more of it to a pile of jagged edges. Dust billowed. A bird of prey circled overhead as Shaw’s made its last stand. The old motel may have taken years to build, but it only took about 45 minutes to take down. For Charlie Arment employees, the destruction was business as usual. “They all fall the same,” supervisor Otis Porter said as he helped guide the excavator. Hasbrouck said the rotting building was erected during the 1800s, and Donald and Josephine Shaw opened it as Shaw’s Motel in 1951. Jerry Budgar, a Bridge Street resident who grew up in the neighborhood, said the building coming down Tuesday used to be his grandparents’ house. Budgar said Josephine Shaw, who provided low-cost housing to dozens of mentally ill tenants from the 1960s through the ’90s, showed kindness when the state turned a cold shoulder to the city’s institutionalized patients. The state hospital on Village Hill closed in the early ’90s, but the gradual process of emptying its wards began long before. He said for many people who had nowhere else to go, the motel was home and Shaw was family. Shaw died at 95 in 2013. Budgar said the motel did what the state failed to do — house and help those in need of nurturing. Neighborhood resident Julianna Tymoczko, 41, said watching the city’s more eccentric personalities from the vantage point of her childhood home on Pomeroy Terrace shaped her understanding of the mentally ill. On Monday she recalled the “suntan man,” a former resident of the Shaw’s who she said would sunbathe shirtless on Main Street in all seasons. “It certainly colors my whole perspective on mental health care and treatment in this country,” she said of growing up near Shaw’s. The memories are bittersweet, but Ward 3 City Councilor Jim Nash called new developments at the old Shaw’s property a force for good. 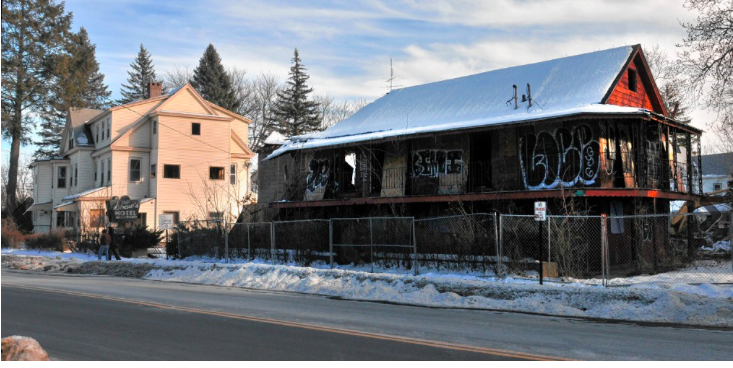 Hasbrouck said there’s no arguing the motel, whose last tenant left six years ago, was in ghastly condition, but still, watching it come down, he couldn’t help but feel somber. 72-74 Masonic Street in Downtown Northampton. Fantastic Investor Opportunity! 72-74 Masonic Street in Northampton, MA has two bathrooms, one on each level, 4 separate entrances and 7 dedicated parking spaces. It is 2,614 s.f. and sits on a 0.06 acre lot. Fantastic investor opportunity in downtown Northampton, with parking, just behind Mosaic Cafe! This two story building is currently used as an attorney's office with 23 employees. It could be used in a similar capacity by the new owner, or it could be broken up into 7 smaller offices for rent to individual professionals or artists. Another option is that it could be divided into 2-4 individual residential rental units, or perhaps a mixture of offices and residential rentals? Potential for an Air B+B unit, etc. The possibilities are endless! Included below are the seller's designs for expansion, with architect's renderings. 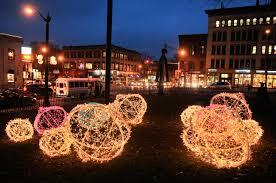 Own a little piece of vibrant downtown Northampton, in the heart of everything that the city has to offer! Offered at $700,000. Contact Lisa Darragh or Winnie Gorman to set up a showing or ask questions.